For several years, the HSUS invested time and financial resources in population control solutions at ISPMB by both providing teams annually to administer the Porcine Zona Pellucida fertility control drug, and hay donations. During these several years, HSUS staff counseled Karen Sussman that her herds were too big to be supported on the land she had. Even when ISPMB chose to discontinue the fertility control program, HSUS offered herd population management suggestions, and options for onsite gelding. Further, HSUS introduced ISPMB to Global Federation of Animal Sanctuaries, which offers support, certification, and accreditation to animal sanctuaries and rescues around the world. Unfortunately, in 2012 HSUS was forced to cut ties when ISPMB leaders failed to follow our recommendations and take action necessary to manage population growth. While Ms. Sussman continued to plead for assistance to feed her growing herds she repeatedly rejected any assistance to stabilize it. HSUS determined that continuing to assist Ms. Sussman would only lead to more animals in her care and greater suffering. In April 2016, upon receiving a cruelty complaint about worsening conditions at ISPMB, our South Dakota State Director, Darci Adams, traveled to the ISPMB facility and, based on her observations, contacted the South Dakota Animal Industry Board’s State Veterinarian directly to request a check on the animals’ condition. At that time, the State Veterinarian replied to HSUS that they were aware of the situation and local law enforcement was driving by daily. The HSUS does not have law enforcement authority, so we directed those with complaints and concerns to the SD Animal Industry Board’s State Veterinarian and the Dewey and Ziebach County Sheriff Departments, as they are the agencies with ultimate authority in this matter. In October 2016, law enforcement took action after an ISPMB employee posted photos to social media of sick and starving horses – including nearly 30 animals that had died – at ISPMB. The State’s Attorneys in Dewey and Ziebach counties entered into an agreement with ISPMB whereby ISPMB agreed to the voluntary impoundment of the horses on ISPMB property while the case was investigated. According to this agreement, until December 1st, ISPMB would reduce the population through voluntary adoptions. After December 1, 2016, the agreement stated the State would determine how many horses could be allowed to stay at ISPMB and how many would be sold at public auction, with the proceeds from the sale being paid first to the counties to cover the expenses of impoundment, and any remaining proceeds paid to ISPMB. For the sake of the horses, HSUS and the Homes for Horses Coalition supported this adoption effort. Elaine Nash with Fleet of Angels was asked by the Dewey County State’s Attorney to facilitate adoptions, and HSUS made resources and manpower available to Fleet of Angels to support the adoption efforts. As of late November approximately 125 horses had been adopted. While the HSUS does not currently have the capacity in its animal care facilities for these additional horses, we are supporting the efforts of reputable wild horse rescue organizations who have offered to take and care for a substantial portion of those horses. We remain hopeful that Ms. Sussman will allow the transfer of her horses to these facilities. Under its agreement with the local authorities, ISPMB could be allowed to maintain horses after the December 1st deadline. Unfortunately, and despite the urging of The HSUS to the contrary, the state has thus far put no restrictions in place that will prevent ISPMB from continuing to breed animals. Furthermore, it is likely that most of the mares are pregnant and dozens of foals will be born this spring. In other words, regardless of how many horses are adopted and/or dispersed through auction, ISPMB will be allowed to continue to accumulate and breed horses on its property and thus we have reason to expect to be faced with this same tragic situation again at some point in the future. Therefore, while the adoption efforts are vitally important to the horses currently under ISPMB’s care, their relocation will not solve the underlying organizational issues which perpetuated this cycle of neglect. It is vital that we prevent this situation from occurring again, and that will only happen if ISPMB is required to discontinue the breeding of its horses. 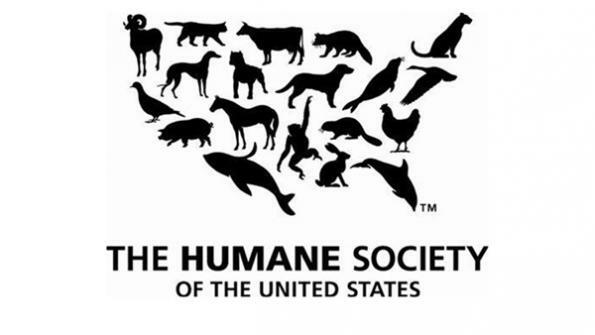 For this reason, HSUS focused its efforts in late November on communicating our concerns to State Authorities and urging them to impose conditions to prevent a recurrence of this situation. Specifically, we have asked the State’s Attorney for both counties and the South Dakota Attorney General to require ISPMB to stop breeding horses. We hope that with such restrictions in place, if allowed to continue to keep any horses, ISPMB will be left with a sustainable non-breeding population of horses. Pursuant to ISPMB’s agreement with local authorities, on December 1 the unadopted horses at ISPMB were seized by the county. State law requires the horses be sold at public auction because they have value as “livestock” in South Dakota. ISPMB, by and through Karen Sussman, agreed to this stipulation; the counties will receive monies to recoup their impoundment expenses, and the balance of the sale proceeds will go to ISPMB. While law enforcement has agreed to allow pending adoptions for another 260 horses to be completed in coming weeks, this leaves another 400 to 500 horses at ISPMB still in peril. 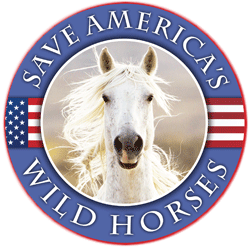 The HSUS is aware that reputable wild horse rescue organizations have offered to take and care for a substantial portion of those horses, yet Ms. Sussman has refused to allow that to happen. The HSUS is strongly opposed to the slaughter of horses for human consumption, and we are deeply saddened that Ms. Sussman’s choices have put the horses at risk of being purchased at auction by kill buyers. Furthermore, The HSUS is disappointed that criminal animal neglect charges were not filed by the authorities in this case. Criminal proceedings could have provided an opportunity for all remaining horses to be forfeited and placed for adoption, and might well have culminated in an order preventing Ms. Sussman from caring for horses in the future, and also preventing any further breeding or acquisition of horses. We continue to support efforts by the wild horse rescue community to adopt as many horses as possible. Thank you for this information HSUS. Very sad – especially for the babies. 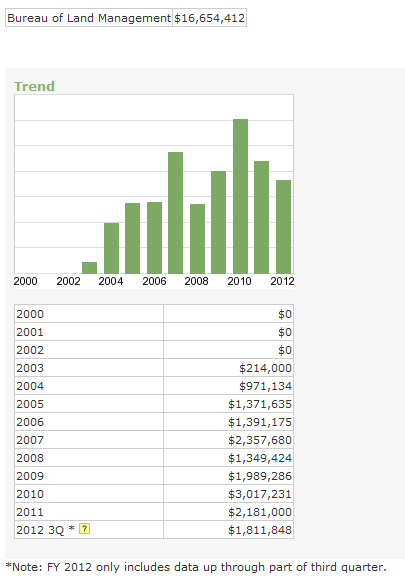 Has HSUS helped rescues with donations ? What exactly has it done ? I have a question- is it difficult to geld males? It would seem to me that it would be safer if focus was put on gelding as opposed to “birth control” on females. This country has consistently focused on targeting females of all species when it comes to birth control. Chemicals and invasive surgeries on females should be disallowed. Thanks for the info, Daniel! I am pretty much a neophyte but want all our wild creatures to be able to live in a consistent environment without fear of destabilizing “humane” intervention. I still have concerns at how ‘reversible’ it is….. however, until wild population numbers are actually accurrately determined, reasonably decided, agreed upon in writing, and ‘controlled’ with a real plan of management, they will continue to be targets for slaughter/money. It makes me sick that organizations that are originated to help the struggle of the wild horses, have to be ‘rescued’…. Praying these horses lives mean more to more people than the horse mafia that wants them dead for cash. JD, in natural wild herds the young males are driven off by the harem stallion, and form bachelor bands. Only one stallion mates with the mares unless and until he is driven off by a younger challenger. Some never get to breed any mares. So in natural circumstances, gelding the stallions does nothing to diminish reproduction but DOES force a narrowing of the gene pool in the entire population. The herds at ISPMB, while described as “natural” are really just large herds fenced in and fed and allowed to reproduce at will. With over 800 horses on less than one square mile of beaten up prairie, one could argue this was more like a feedlot than any natural state the horses would have chosen. HSUS is registrar for PZP and is pushing it. I’m surprised to read HSUS statement that Karen refused their offer of hay. Something is wrong here that HSUS needs to explain. In addition, the HSUS letter strongly faults Karen while others have said not all information is out on the care and welfare of the herds. Clearly, the HSUS has an axe to grind, and we need the truth. That was the truth. The ax is that this selfish person will not make a rational plan to care for these horses, long term. Which is what a “sanctuary” needs to do. There is a board of directors and wasn’t HSUS on the board? Since we don’t know what their bylaws were and how they operated it can be assumed by this debacle that the board left her high and dry or she didn’t allow the board to function. Anyway there are so many supporting this operation to get horses safe, they are truly angels. Chris, I wondered why the HSUS disappeared from this situation for FOUR YEARS. It does seem a lot of incompetent people have been overseeing these horses for quite some time to lead to this unfortunate situation — surely the last thing any of them wanted and which none can condone. I rarely engage in a thread but this one is going way out in left field and it has caught the attention of many. Let’s stay on-track, the HSUS DID attempt to help and was turned away, that is what this statement is all about. The issue here is how the horses were mismanaged at ISPMB not HSUS. Come on – censored? The most important thing right now is the fate of over 500 horses. It seems to be obvious – that for one reason or another – people & organizations were prevented from assisting. If someone refuses help and they are in charge? Finally someone did make it public – sadly, this could have been worse! I personally want to thank Darcy Adams for this glaring up date. INow if it was up to me this woman would not be allowed to own ANY horses or equines. I had no idea how involved they were there. But did contact Darcy Adams, state director and am glad to see the response. This is nothing new if you do investigative work. But these numbers are outrageous! Its sad no one listened to this employee until it was too late. Now who suffers!! The poor damn horses. With the addition of this documentation this woman should be prosecuted and made to receive counseling big time. This is why reporting is so necessary. In some states the herd reduction would have been done much earlier but each state is different. Let’s all keep vigilant and pray for a good outcome. I believe with Elaine Nash, the help of HSUS and others it might not be so grim. But the truth comes out in the end and I want to thank.Darcy.for responding. Let’s pray for their safety as they are the innocent ones! Like I said if I had my own place at least two would be on their way to Illinois. Now the next step if they get to the auction.stage can we get enough support to save them from the Kill.Buyers?? As a past investigator there are reports to be filed, photos taken and other official documents. Just from past experience I would say this woman did not want any interference. No one knows how hard this work is until you have done it. I almost had the windshield of my truck broken out of my truck. She was given way too many chances to clean up her act. There may be documentation used in the litigation to that prohibits it from being shown. My point is you cannot lie about what has been happening. It appears to me everything is well documented. I had cases where the same bales if hay and grain bags sat unopened and not feed. The people pointed out they had grain and hay for the horses which satisfied that requiement. But never fed it and guess what happened to the horses? I finally got smart and marked the bags of grain and the hay. These are some of the sick people who are involved. They consider them objects of ownership. Not living beings who need food and water to survive. But I had to be meticulous in documenting because at times it does find its way to a court of law. Such as this case. Thank God there are people that do this for the animals. I was not paid, but did it on a volunteer basis. You still had to receive training and certification by the state dept of Agriculture. Rumors sometimes fly but documentation surely doesn’t lie! If someone has the address, could they please check the public tax records? Who owns the property? is it wild horse Annies, family property? or is the property in danger of takeover by the state? She had to have left some type of agreement, a contract relating to ‘humane’ care of the horses in return for use of Family property. Now that the state is in control of the properties animals, I doubt any control will be returned to the “owner” deceased or not of the property. Sun, I read someplace else the land is privately owned by a friend of Karen’s on the East Coast so there is no danger of property loss, but probably any future tax write-off from letting the nonprofit use it will be questioned. WTH??? There should be no wild horses bought by meat buyers PERIOD. I don’t care if you call them livestock or hamsters, they are living animals with the rights afforded to any animal in this USA that is not raised for meat. What happened to protecting our living legends? Don’t take the lives of these horses to pay for Karen Sussman’s egomania, stupidity and mentally ill hoarding mentality. Make ISPMB and Karen S pay for all the hay and supplies and vet bills not the wild horses to be sent to slaughter. For having Humane in your association name, I find you very INHUMANE. Wild horses are to be protected. There are other solutions as more adoption applications have been filled out then the 1/3 of the horses allowed to be adopted. Make some money off the adoption fees. Meat prices are what, 20 to 30 cents a lb at auction and maybe 45 cents a lb at the slaughterhouse door. I cannot believe there aren’t more HUMANE options. This is why I don’t donate to your organization. NO KILL SHELTERS deserve money not you… Believe me, will be tweeting and sharing all over the world that HSUS is behind all of this…. Help the horses don’t kill them all. WHP, I think we all share your outrage, but once these horses were removed from their home ranges they became property (livestock) in the eyes of the law, owned by ISPMB. As they reproduced on site it’s a fair bet most of the horses in trouble right now were born there, with more coming. ISPMB cannot pay even to feed these horses now, which is why the taxpayers of SD have had to step in with (unbudgeted, surely) impoundment for which they must be repaid. Since these horses are legally considered livestock they are allowed to sell them at auction (happens all over this country all the time), and must unless sufficient funds to repay the debts can be produced by other means, and ALL the horses be ensured humane care elsewhere. This situation is really not much different from anyone bringing untamed horses home, turning them loose and allowing them to breed freely with little or no handling other than tossing out feed (if they have it). Yes, there are some specific genetics involved, but anyone can argue this for the preferred kind of horses they own (been there, seen that). I’ve wondered where HSUS was in all this but point the blame where it belongs, and let’s take all this anger energy towards finding ways to help these hapless horses. I’m only replying so I can get off this most unproductive rant… Have real horse work to do with my own rescued mustangs… Whoo hoo Happy Holidays all and I hope that in the future we can #KeepWildHorsesWild and away from mentally ill humans, in fact, away from all humans. Can’t agree with nasty comments about HSUS. To say they are behind Karen Sussman’s criminal treatment of WHs is simply insane. HSUS and many others tried to avert a looming tragedy years back. They were rebuffed. You may not like birth control, but it’s a humane alternative to Roundup, BLM Incarceration, Sterilization and Slaughter. Thanks, RT, for keeping us informed on this ugly situation; and thanks to the “angels” still struggling to rescue these abandoned and lll-greated horses. This update is very disturbing. I had a bad feeling but this statement had just floored me. I’m sorry for the horses. Since such a high number of these horses have to be foals and yearlings, they will be worth next to nothing by the pound, and surely some will be injured or killed in transport, not to mention stress-related higher risks of disease in a communal sales yard which these naive animals will be exposed to, in winter. Some will be weaned at the sale barn (I have seen this first hand, it is heartbreaking to see a mare and fall together in the arena and a kill buyer take the mare but not the foal, so they exit out different gates, parted forever). Is there some way to prevent at least the babies from auction and all that surrounds it? Can HSUS intervene and provide mercy for even some of these? ISPMB Horses have never been MISHANDLED and therefore do not have the post traumatic shock memories that Wild Horses captured in roundups have…they NEVER forget. Even the sound of a metal gate closing can send them into a panic. ISPMB Horses don’t have those terrible memories of what humans have done to them. They have the makings of wonderful Horse companions to those who do adopt them. It will take time and patience, but then, that’s what working with Horses is all about. BS Louie C!! Not a single one of the horses I have adopted have ever ‘panicked’ at the sound of a gate closing. Good Lord!! “Post traumatic shock”? And I like the age of mine when caught to be between 2-5 yrs old. ALL just fine and great companions and wonderful horses. All just happy to not have to always fight for their food and water for once. Louie, multiple reports now indicate even loading out horses at ISPMB has been problematic and unsafe at at times, and it is not realistic to expect these horses to be yanked from their homes (where many were born), poked, prodded and run into a sale pen, then shipped to a strange place with strange people everywhere without creating panic and mayhem among these horses. Heck, even domestic horses very used to people are terrified in the sale pen. The ISPMB horses lowest-stress relocation option was directly from home and long before winter hit. Redhead, I guess you were fortunate. I’m going by those that I know who have told me of their experiences. Wild Horses that were born in the holding facilities wouldn’t have the same bad memories either. I’m talking about those that have experienced the helicopter captures and all that happens to them afterwards…especially the older ones. IcySpots, that stands to reason. I don’t think that the ISPMB Horses have been handled much at all. Everything that they are experiencing now is bound to be new and scary to them. So let me tell you what happens to a wild horse’s physiology when he/she suffers the severe stress, trauma, of being chased and sequestered into captivity. Then, I’ll tell you what some of the consequences are. I don’t think it’s an exaggeration to say, as gathers are routinely done in the USA, if a wild horse doesn’t die straight off from the immediate devastation and commotion, it compromises him/her physically and mentally, putting him on a path of accelerated deterioration. one wonders whether and how many fetuses were resorbed by mares? wits and the sympathetic tone shutting down processes related to appetite and digestion. But these overt consequences are just the tip of the iceberg. Let me explain. means the bad news for wild horses only begins with the gather. What our government is doing to the wild horses of the western US and the way it is being done is an atrocity. It is an injustices against nature. Even the horses left behind or turned back out suffer from the social disorder gathers cause. “Veterans form relationships with wild mustangs who have also faced their own trauma of being torn from their families, chased by helicopters and trapped in holding pens. The captured mustangs mimic the PTSD symptoms seen in humans, says Cara Sams, program director for Medicine Horse. “The horses experienced trauma. They are hyper-vigilant. They come in with anxiety. They come in depressed and some are very angry,” she says. Louie C – Then I guess I was ‘lucky’ with all 40 I have adopted?!! Really? You then need to ‘talk’ to some other people. Or better yet – Adopt and train some yourself and learn that way. None of mine could ever be considered ‘tramatized’. And yes, many adopted/gathered at older ages and all by helicopter. And no, helicopters fly over our place all the time during fire season and NEVER a reaction by them to it. I only have 5 rescued mustangs. All are very alert but the only one that is tramatized is Lily who was in the kill pen at Sugar Creek, Ohio. She will never trust humans again but is kind and will accept peppermints. I think we can all agree every horse is going to react differently to stress, just like people do, so it isn’t useful to treat each on the same, but rather that we should try to minimize stressors when and where possible for the animals who depend on us. That doesn’t mean NO stress, only thoughtful pressure and release, and perhaps the most important: taking more time. Slowing things down a bit can do wonders to help animals better process new situations. Redhead, do you still have the 40 that you adopted? Which Herd Management Area were they taken from and when? I didn’t at all mean to imply that Wild Horses or Burros aren’t adoptable. What I was trying to say is that the ISPMB Horses wouldn’t have the bad memories as that of the captured Horses. Not even an elephant has a longer memory than a Horse. All good trainers know that and have to be prepared for the unexpected. God only knows what happens to them once they are captured. Redhead, our collective vision and goal here is to end the roundups and removals of our Wild Horses & Burros from our Public Lands. They are, by law. to be managed as Wild and Free Roaming. THAT is the way I want to see them. There are more than enough Domestic Horses that need adopted already. Barbara, those Horses that you adopted probably knew they were in safe hands as soon as they tuned into you. How many have you adopted Louie C?? And I prefer getting the horses OUT of holding and obviously think they are Much better than domestic horses. Redhead, my time, energy and resources are going towards stopping the roundups so that there is not longer a need for holding facilities or adoptions. I want Wild Horses to stay that way. So Louie C I take that as a NO? You have never helped the horses by Actually Adopting them? Got it 😉 I also prefer to keep them on the range – but I want them out there at numbers the land can sustain as to keep them, the land and ALL animals out there HEALTHY. And to answer your question since you Kinda answered mine – no – I do not have all the 40 still. Some have passed away, some I found perfect homes for and some my ex got custody in the divorce(not that ANY of this is Your business). Yet I still have the first one I adopted in 1988 and he is still doing Great along with several others. Redhead, you don’t have to be rude. I didn’t think it inappropriate to ask about the captive Wild Horses that you have adopted and didn’t think that you would object to sharing information, although you still haven’t stated where they were captured or when. I take it that you don’t choose to answer that question. As far as adopting….I help when and where I can with sanctuaries where they can live as close as possible to their original way of life. As you can see, they have a hard time keeping in the black. A person has to make a choice as to where to place their resources and that’s my choice. I see the Horses as not having any choice. As far as numbers on the range, we have a basic disagreement on that point. They have been removed in massive numbers simply because of private/corporate interests that wanted them out of the way. The 22 Million acres that have been taken from them AND the taxpaying Public have simply “disappeared”. Oh, so sorry I hurt your little feelings Louie C. And no, you are not worth my time to list 40 horses and their catch area and catch dates for you so you can…..what? The first one I adopted was as I said 1988 and that was the year he was caught as a 4 yr old and from the Black Rock East, NV HMA. The last one I adopted was 2 yrs ago, he is Owyhee, NV. Thats about as much effort as I care to make for you. Other than I plan to get another one in the next few months. You go ahead and believe what you want from what you Read. And I will go on believing what I see when I Actually RIDE and drive the areas they are at. Redhead, you appear to be on the defensive. No one criticized you or anyone for adopting. Adopt 40 more..so much the better for getting them out of the holding pens. I’ve seen far too many of them on Craig’s list, going for next to nothing or for free. I stand by my original post. The WH&B that have endured roundups are bound to be traumatized. How could they not? The Horses at ISPMB have not had the hell scared out of them and the same rough treatment that they get during and after capture. They aren’t going to see humans as threats They obviously are going to be confused and scared now when they’re being loaded onto trailers and taken to new surroundings. John: Jim, you’ve seen what Neil Kronze had to say about the Wild Horse Herd population, and the rest? James Howard (Freighter Pilot): Yes, I have. I fly over the 11 Western States constantly, and done so for 18 years now. The overwhelming amount of cattle, as always, is mind-boggling. It is pretty obvious, in both numbers and land-destruction, that cattle are in truth way over-populated on our Public Lands – and I am just a pilot and see it. And when compared to the Wild Horse population, which in my mind is 1 horse for every 2,000 or so cattle – Kronze, at the BLM and his cronies, are liars; also anyone else that would repeat such a travesty of the truth. The over-population of horses a myth, and simply untrue. Anyone can do a flyover – it is open-lands for it mostly. I strongly suggest people go out and look for themselves – see what we see! John: Stan, you have also seen the statements from the Director of the BLM, and do a slightly different route over the 11 Western as Jim. Anything to add? Stan Denning (Freighter Pilot): Yip, I fly the 11 Western, and most of it desert and over Public Lands. I have seen some of God’s best work while being a pilot for Jim’s company for 12 years, and proudly on American Owned Lands, fought and paid for by us, the taxpayers and American’s alike. I have seen also what people and our government do to these lands of ours. Cattle I see for miles on end – actually rare to see wild horses at all, so when I do it does catch my attention – and as I say, it’s rare to see them at all. Where I won’t call a man a liar, unless I am looking him in his eyes, I will state that I would like to speak with Mr. Kronze, and call him such, and point out to him several reasons why. Kent Styles (Terrestrial Biologist): There is no doubt in my mind, the wild horses take the brunt of what cattle and sheep do -I am thinking the same as both Jim and Stan, Call these people out! I agree with their ratios, about 2,000 cattle to every 1 wild horse . . .
John: If I am hearing you correctly, there is much more to this than just the over-population lies, but actually a cover-up of sorts? IS- what about this idea: adopt out all the horses and sell the land to pay the bills. You are right about the babies……. The land does not belong to ISPMB, so the owner would have to want to sell and donate all that value for a lost cause, not to mention it takes months to find a qualified buyer and close a real estate deal. And it’s pretty hard to even look at the property when it’s buried in snow. Keep thinking of ways we can create a better ending for so many horses here! Rita, the landowner has so far remained silent, and the sale starts in about two weeks. Not to even mention the horses are now the property of the state of SD to auction off and will not be allowed to remain on the ranch (other than perhaps some few ISPMB can verify they can care for, but even that is doubtful as all are impounded). The best answer now is to get buyers to the auction, about 10 semi loads and $125,000 min. worth as I calculate it. HSUS must step in and buy these horses at auction and use its vast resources for that and to market for their adoption. Their advocacy for PZP of which they are owners needs to be equalized with such acts of humanity. Personally, and as I suspect, many of their donors have boycotted them because of the PZP issue. If they saved these horses from slaughter they night restore their reputation among those of us who despise PZP and what it does not only to the mares but the whole familial structure of the wild herds. If HSUS does not stop this slaughter, it is possible that they will eventually be boycotted by most of us, and permanently put them to rest. I don’t know what to say. This is so sad. And of course, the Interior Dept. has done absolutely nothing at all. It still burns me that they were waiting for a report and when they got it, did nothing – because they didn’t get the answer they wanted, I would imagine. I guess its no skin off their nose! Just more wild horses gone as far as they are concerned. I hope – with all the people who are aware of this – that there are enough to ensure that none of these horses go to slaughter! And yeah – it is SO sad. The problem begins with taking them in the first place, allowing people like the idiots at BLM and others to have control of their livelihoods. I have researched the paperwork made up of lies on amounts they say are in the wild, atleast in az, utah, nevada. It is ridiculous, I have 2 mustangs, BLM horses, they can be better than the best horses we breed. I would take 50 if it would give them the chance not to become abused by the slaughter pipeline but that’s where they are headed and these people are responsible. Just love the world we live in nowadays, I hope judgement day deals these stupids their just reward! Thank you RT! Very sad & tragic. Hope this gets resolved soon. Inhumane & insane.